Most recently, Olore served as Senior Portfolio Manager at People’s United Bank for five years. During that time, he was a member of their U.S Equity Research Committee and part of the team responsible for their proprietary Large Cap Core and Equity Income Plus strategies. Steve also managed a large book of business for institutions, municipalities, foundations, endowments, universities and individual clients. At Camden National Wealth Management, Olore works closely with clients across the state of Maine—especially in the Portland, Bangor, Midcoast and Ellsworth areas—to devise the best investment plan for their individual goals. Olore also shapes investment strategy through trend and market analysis within a variety of asset classes. 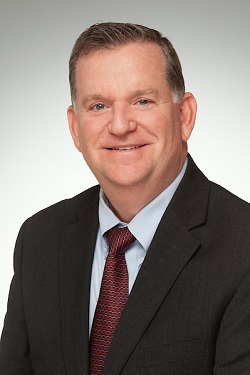 Most recently, White-Thomson served as Senior Portfolio Manager and Investment Strategist at Holly Street Wealth Management, where he managed client assets, implemented firm-wide trading systems, designed portfolio models, supported business development and led research initiatives for equity and fixed income portfolios. 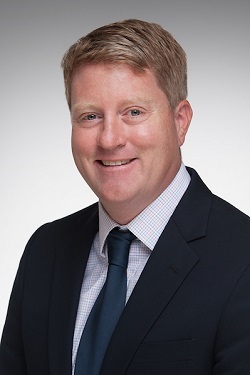 In his new role, White-Thomson serves clients in primarily southern Maine. On Camden National Wealth Management’s investment committee, he provides research and analysis on individual securities. Additionally, he directly manages a book of assets and works closely with clients to tailor an investment strategy that delivers long term results for their unique objectives. Both Olore and White-Thomson expressed their strong belief in Camden National Wealth Management’s core investment philosophy and development plan, in addition to the firm’s unique commitment to its clients, community and employees. Olore received his Bachelor of Science degree in Finance from Fairfield University. He is currently a member of the Association for Chartered Market Technicians, and the former President of the Home and School Association for Holy Cross School in South Portland. He currently resides in Scarborough with his family. White-Thomson received his Bachelor of Arts degree in History from the University of Rochester and his Master’s degree in Education from D’Youville College. He currently resides on Peaks Island, Maine, just off the coast of Portland.